Analysts are the best resource to detect attacks, and hiring more is not always possible. PatternEx seeks to solve this problem by mimicking an analyst using Artificial Intelligence. Artificial Intelligence has made great strides in things like computer vision, but has not gained traction in InfoSec. Until now. Understand the problems confronting any AI system in InfoSec, and how PatternEx is solving them. 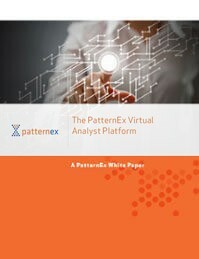 Take a deeper dive into the machine learning science underpinning the PatternEx platform. Understand the key benefits of Artificial Intelligence for InfoSec. Understand the concept of AI2 to increase detection 10x. Explore new features - AutoCorrelateTM and Custom Analytics that speed investigation 20x.